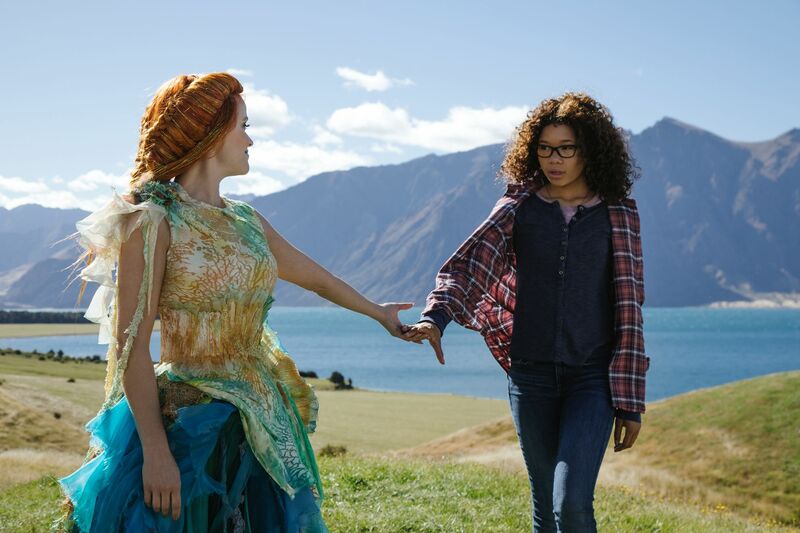 Storm Reid is the lead in A Wrinkle in Time, playing iconic literary character Meg Murry, which comes with a lot of pressure, especially when so many people have read and love the book that the film is based on. But Storm Reid is also a young woman with a great head on her shoulders, which was quickly apparent from just the short amount of time we got to speak with her on set. 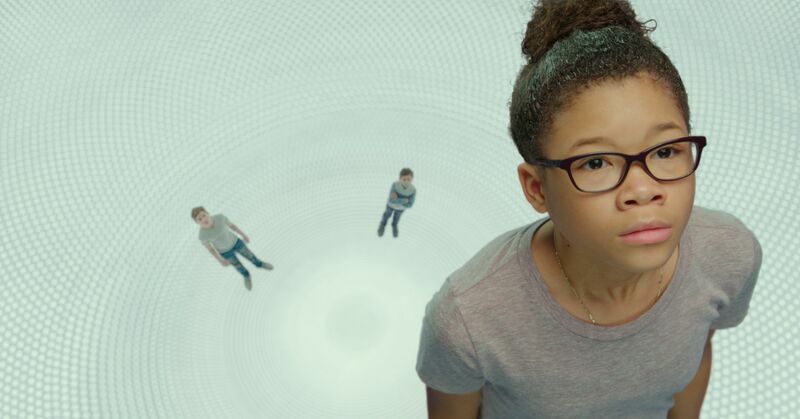 In the film, Meg Murry, her brother Charles Wallace (Deric McCabe) and their friend Calvin (Levi Miller) go on an unexpected journey into alternate dimensions on a mission to bring home their father (Chris Pine), at the same time that Meg learns that her own differences are what make her special and that, if you dream it, you can achieve it. On February 2, 2017, Collider (along with a handful of other online outlets) was invited to the Santa Clarita, Calif. set, where we got to talk with Storm Reid. 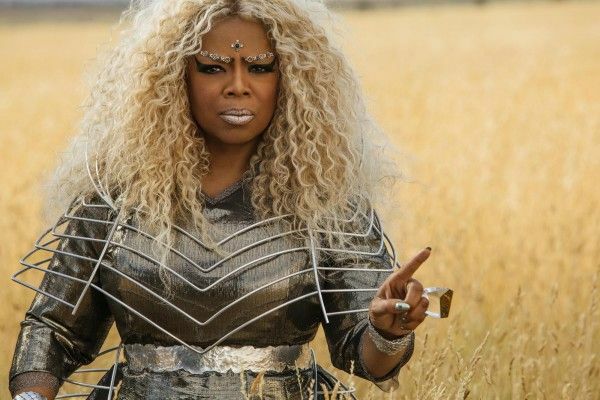 During the interview, she spoke about being nervous about auditioning for this role, her familiarity with the book, what inspired her performance as Meg, the most fun aspect of being a part of this project, the biggest challenges, acting with special effects, the advice she got from Oprah Winfrey (who plays Mrs. 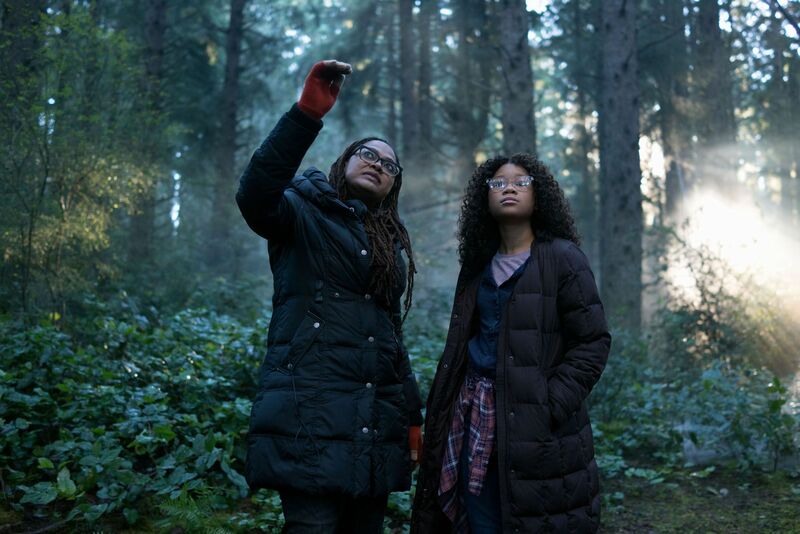 Which), wanting to shadow director Ava DuVernay, the biggest lesson she’s learned from playing Meg, and what she hopes audiences take from seeing the film. Question: Were you familiar with this book, before being cast? STORM REID: Yes, I read this book in 6th grade. I had to do a whole book report and a test on it. So, I was really excited when I got the audition because I’d already read the book. And when you read it, you had no idea that one day you’d be in the movie. REID: No idea! I was shocked. I recognized the name and wondered if I’d read the book, so I went back to my bookshelf and it was right there. How was the experience of auditioning for this role? Were you really nervous, or did you feel like you really had this character? REID: No, not at all. Going into my first audition, I was like, “I’m gonna try my best, but I’m not gonna get this.” I had it set in my mind already that I wasn’t Meg and I wasn’t gonna get it. And then, when I got called for a callback, I was like, “Oh, wow, okay!” I was so nervous, being in front of Ava. Of course, I wanted it. In the beginning, I wanted it. But, just knowing that they potentially liked me was nerve-wracking. All of my auditions, from my first one to my last one, were nerve-wracking. What inspired how you play Meg? REID: I really looked at Meg in the book. I didn’t look at the previous A Winkle in Time movie. I wrote ideas down from the book, but I didn’t really want to copy that Meg. We’re the same, but we’re different, at the same time. I wanted to make myself Meg. I didn’t want to use somebody else or use a reference. The main things that people love and know about the book, I want to have those things, but I still want to have my own little quirks. What’s been the most fun aspect of being a part of this? REID: Everything has been fun. Every little stunt, every hard challenge has been fun. I just feel like this whole experience has been fun. It’s a blessing. I just feel like this is the opportunity of a lifetime, so I’m trying to seize everything and every moment, and soak it all up. REID: I think there’s two biggest challenges for me. I don’t really look at myself as the lead of this movie because I feel like we’re all a team, but people call me the lead and Meg is the center of the story. That was kind of shocking because this is my biggest opportunity. This movie is on my shoulders. I have a lot of pressure because there’s a lot of people that read the book and love the book. I want (author) Madeleine [L’Engle] to be proud, so I was just trying to get everything perfect and embrace Meg and bring a little bit of the character from the book into Meg. That was the biggest challenge for me, in the beginning. The challenge that I still have going on now is my stunts. Being in a harness all day and not being able to move around and dance, like I like to, is a challenge. It’s uncomfortable, but you get used to it. I just wish I can go do a cartwheel, but I can’t. What’s it like to act with special effects? REID: It’s my first time doing special effects this much. It’s not different acting, really. When you’re acting, you can try your own ideas and be free. When you’re acting in special effects, you have to do specific things, so that they can get the right angle. It’s very particular, how they want you to do it. When you’re doing special effects, you’re not even acting as much as you are in a real scene. They just want to get the blue screen or the green screen. You can still say your lines. What’s a typical day like, on set? REID: I come here and do all of this, but I still have to do school. I always do school. In between my breaks, I go and do at least 20 minutes, or it won’t count. I still do school and try to stay on top of my grades. I’m doing Algebra I, so that’s challenging. I’m in eighth grade. What’s been your favorite planet? REID: My favorite planet has been Ixchel. Ixchel is the nice, beautiful planet where I regroup, and then I go to find my father. The planet I don’t like is Camazotz. It’s dark and IT lives there, so I don’t like that planet, at all. How is Fortinbras, the dog? Do you get along with him? REID: He’s good. Fort is good. The dog’s name is Coda, who plays Fort. He’s so sweet. He’s so nice. He can be a little cranky, though. He likes his treats and he likes his owner a lot. They have a really good connection, which is good, but he’s a little hard-headed sometimes. He’s cute. What’s it been like to work with your little co-star, Deric McCabe? REID: He’s amazing! He has a lot of energy. I have all older siblings, so that was something to get used to, at first, but he’s so sweet. When he’s acting and focusing, he’s great. It’s a blessing to have him as a little brother. What it was like meeting Oprah Winfrey, for the first time? REID: It was shocking. I was nervous, but she’s so sweet. She’s just down to earth. She is really powerful, and she knows she is, but she doesn’t act like that. She acts like a regular person. She’ll sit up on her harness and not want to come down. She’ll just stay there. I know there are some people, that hopefully I don’t meet, that are so conceited. She’s just a regular powerful, beautiful black woman. Has Oprah given you any good advice? REID: She did give advice to me. I have a fear that I’m gonna be really tall, so we had a conversation about life, in general, and that you can’t put energy into trying to resist something in life. You have to put that energy into something else ‘cause God has planned for you what he’s planned for you, and you can’t change that. You’re just wasting energy, trying to resist something. That was really good advice. What have you learned from working with Ava DuVernay? REID: I’ve learned a lot. I’ve never worked with a director like her before. We have to work as a team. I know that, but she really represents and shows that to us, every day. She moves props and she moves marks. She’s not just a director, she’s really involved. To make this movie successful and to make anything we do in life successful, we have to work as a team and really cultivate our ideas together. Do you have aspirations to direct, in the future? REID: Yes, I want to go to Queen Sugar, which [Ava DuVernay] produces, and I want to shadow her. I’ve seen what she’s doing, but I want to shadow her for a week, just to see what she does when I’m not acting and she’s giving me direction. I’d like to hopefully do it, in the future. I have a couple of ideas brewing in my head, so hopefully I get to pursue that. This movie is going to have an impact on audiences. Are there any other books turned into movies that made an impact on you? REID: The movie I love, to this day, that I used to watch on repeat was Matilda. It’s a silly story, but when you really look at it, it’s heartwarming and a really special story. You see this little girl that is so smart and who was dedicated. It inspired me, and it inspires other girls, too. You should always be dedicated and know that, if you strive to do something, you can achieve it. That really sticks with me, and I love it. REID: I started when I was three. I don’t really know what made me want to be an actor. I think it was watching Matilda, over and over again. I just went up to my mom one day and said, “I wanna be on TV. I wanna be a superstar!” Since I know this is my passion and I feel like God chose this career for me, I just knew I was ready to do it. I told my mom that I wanted to do this, and she’s been so supportive, ever since. REID: I like to hang out with friends. I have three dogs, so I love playing with my dogs. I love going to the movies with my sister and my mom. I love eating. Eating is my jam. I just love being around family and friends. I love to read. I love to just be a regular person, outside of this. I feel like I am a regular person, outside of this. Inside, it’s never gonna change, but I know that once this movie comes out, it’s gonna be a whole different perspective, so I’m just trying to stay the 13-year-old I am. What do your family and friends think about you starring in this film? REID: I don’t really like to tell people what I book. My close family and friends were so supportive and so excited. I couldn’t say anything to anybody, other than family and friends, for a long, long time. It’s good to have that support. If you could travel across time and space to anywhere, where would you go? REID: I would go to 2003, in Atlanta, Georgia where I was born, and I’d like to have the 13-year-old mind that I have now to go back into my baby body, so that I could remember my childhood memories, and then come back to me.